In an ever-connected world where technology is utilised in every facet of life, safaris and wildlife activities are no exception. The Safari Index team of safari experts has created a list of their favourite and most practical apps they actively use out in the field. Use these apps to help plan your safari, navigate your self-drive vehicle, and identity animals species, or even go star-gazing at night! 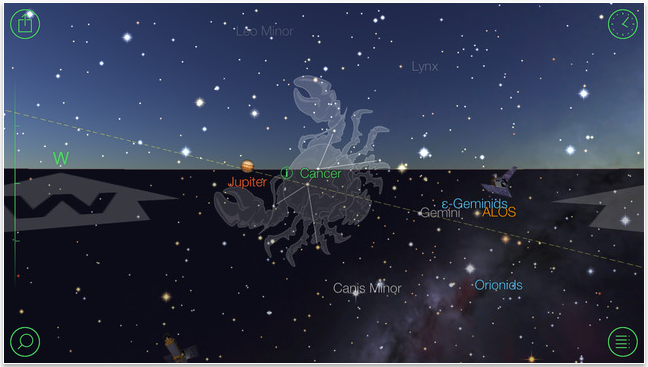 Star Walk is a stargazing app and acts as an interactive star chart or map of the night sky. This award-winning app allows users to point their device at the night sky, and it them updates it real time. It shows the celestial objects in the exact position they are in the night sky, and provides detailed information about them. 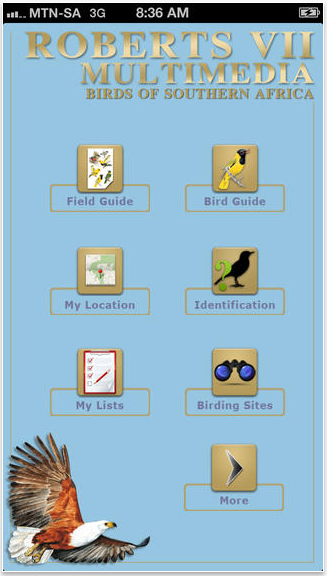 The Roberts Birds app is an interactive app that can be used, essentially, as field guide or a bird list. It lists over 900 species of birds and its functions include a full bird list, maps, illustrations and bird sounds. It allows you to compile a personal bird list, and does not require a WiFi or internet connection to operate, which means that it can be used in the bush and remote locations. This app is a must-have for tree-enthusiasts. 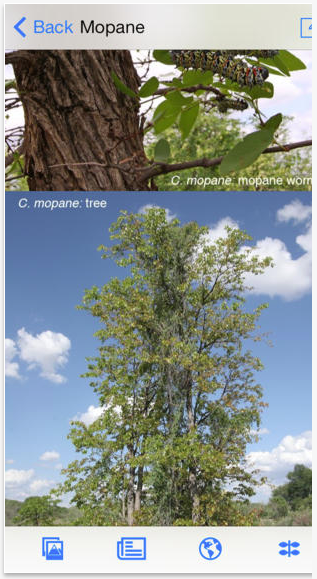 It lists over 840 tree species of Southern Africa, which are also arranged in groups for ease of reference. The app allows English, Afrikaans and scientific name searches, and also includes images, maps and descriptions of tree species. This app also allows the user to create a personal list. This interactive app lists all 151 snake species that are indigenous to Southern Africa. The app contains maps, images and descriptions of species, and also has a ‘smart search’ function which allows the user to identify a snake species using head shape, habitat and type of scale. A ‘çompare’ feature allows the user to compare two species on the screen, and the app also has a personal list function. This exceptionally handy app is a must for any safari-goer, bush lover, or general outdoors enthusiast. 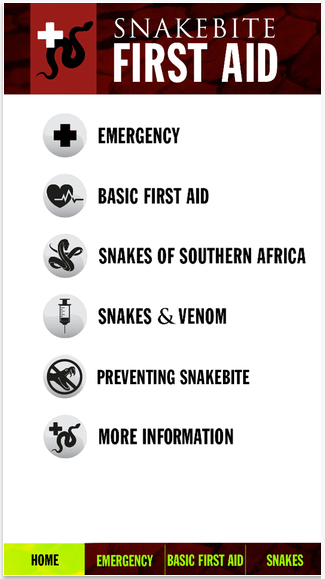 The app provides the user with information about the most dangerous and venomous snakes in Southern Africa, and tell you what first-aid action to take if you are bitten by any of them. 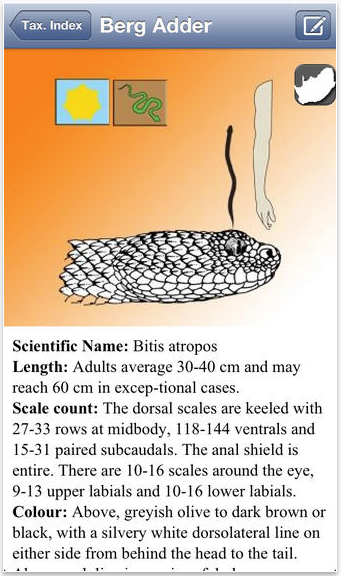 The app contains images and information of the snakes, with guides on preventing snakebites, how to treat snakebites, as well as emergency contact numbers. 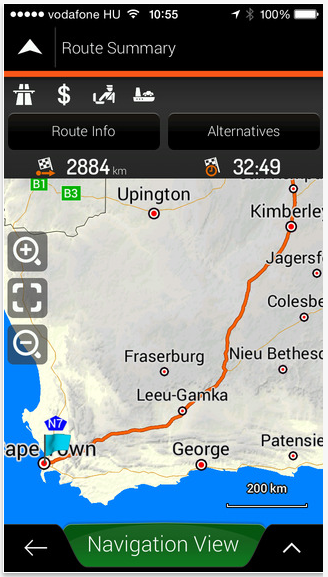 The Tracks4Africa Guide app is the must have for any self-drive safari goers heading out to remote locations in Africa. It provides a detailed navigation service on roads often unknown to traditional GPS navigation systems. Its works offline and provides maps and information that are vital in the planning of your safari holiday. The app works off smart phone’s built in satellite connectivity so needs a fairly new phone model to function properly. It includes detailed maps, as well as information pertaining to the region, including points of interest, contact details, facilities and activities. This useful app showcases the common tracks of mammals from South Africa, Namibia, Botswana, Zimbabwe, Lesotho, Swaziland and southern Mozambique. 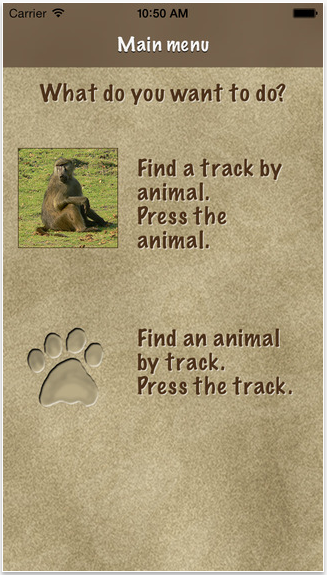 The app allows users to identify animals by their tracks, or to select an animal to see images and information about their tracks. The app also includes maps pertaining to the distribution of animals in the region, and can be very helpful on walking and hiking safaris. Most smartphones these days come with built-in torches and compasses, which can very useful tools when out in the bush on a game drive, walking safari, or other safari adventure. 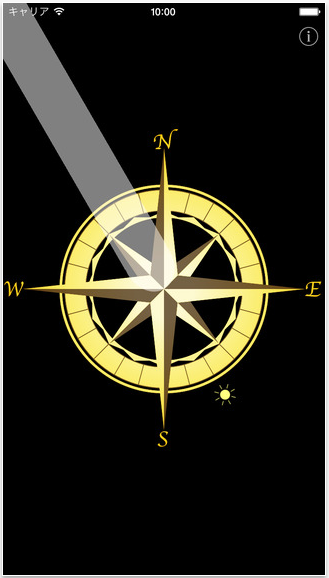 If your phone does not come with a built-in torch or compass, you can visit the app store and download them for free. 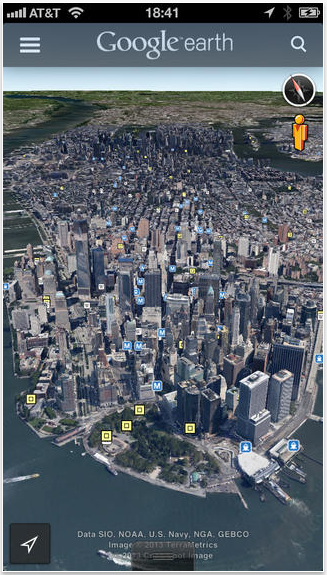 Google Earth probably needs no introduction. This world-famous app is a virtual globe, map and geographical information program that allows users to ‘fly’ anywhere in the world using their computer or phone screen. It provides maps and satellite imagery that allow users to ‘visit’ the region they interested in, using their device. It also provides detailed information about the region, as well as points of interest, and is therefore very useful when planning a safari in a remote location. 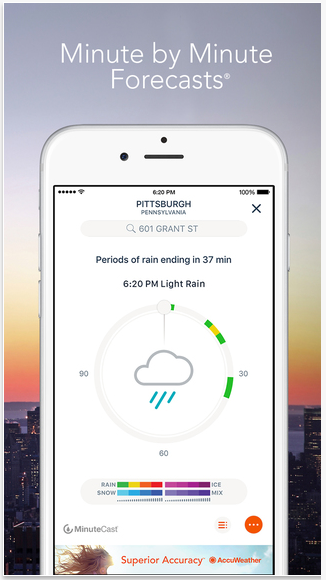 Weather apps are another common app found on most phones nowadays. In addition there are a variety of other weather apps available through the various app stores. Weather apps will provide users with detailed forecasts, which can be extremely useful when planning an outdoor holiday like a safari.